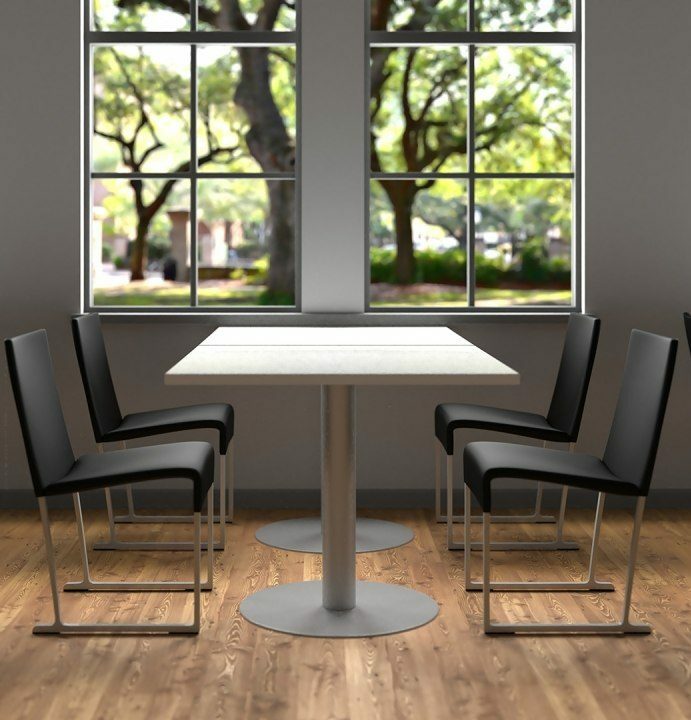 The Disc Base from Enwork is available in desk, dining, or bar height, with a round or square base, and is offered in a variety of powder paint colors. Round or Square Tops can be added to this base, which offers an optional integrate power/data top plate. Base and top are sold separately. Pricing includes a 30″ Square Top with a 3mm Laminate Edge, no power, and standard finishes.